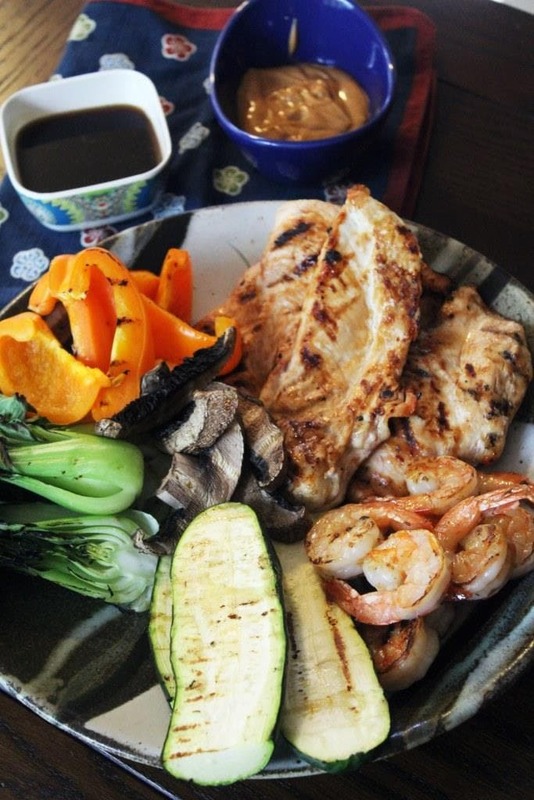 This is basically a meal of grilled veggies and protein with a little glaze to brush over everything, then two little sauces for serving and dipping at the table. 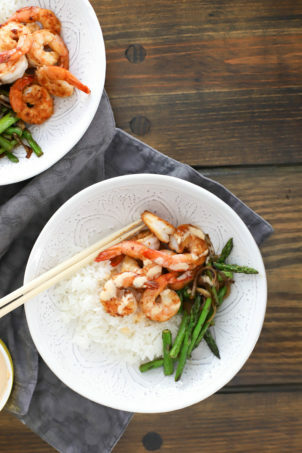 You could TOTALLY add rice to this meal, or noodles, or whatevs you like. 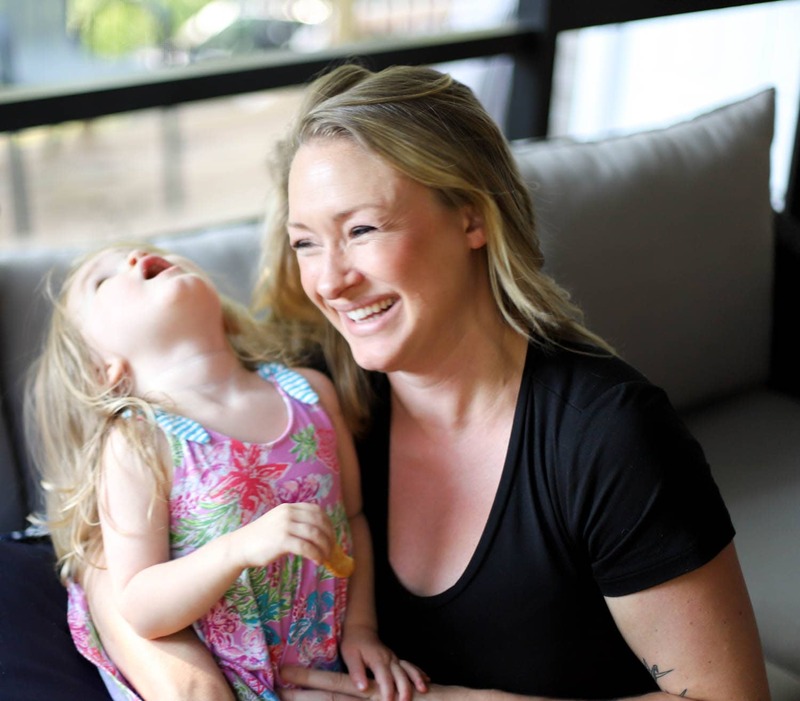 I went low carb because I was making this for my sweet preggo friend Sarah who’s laying off the carbs and sugars for the sake of her soon-to-be-here son, so this meal was just perfect for her. Don’t worry, she’s doing this with the help of her doctor and we had some dumplings before the meal, so it wasn’t totally carb free. Babies like carbs. Don’t freak out. What’s so great about this meal is that once you make the sauces you just grill and go, so it’s a great party meal that doesn’t require a lot of rushing around. 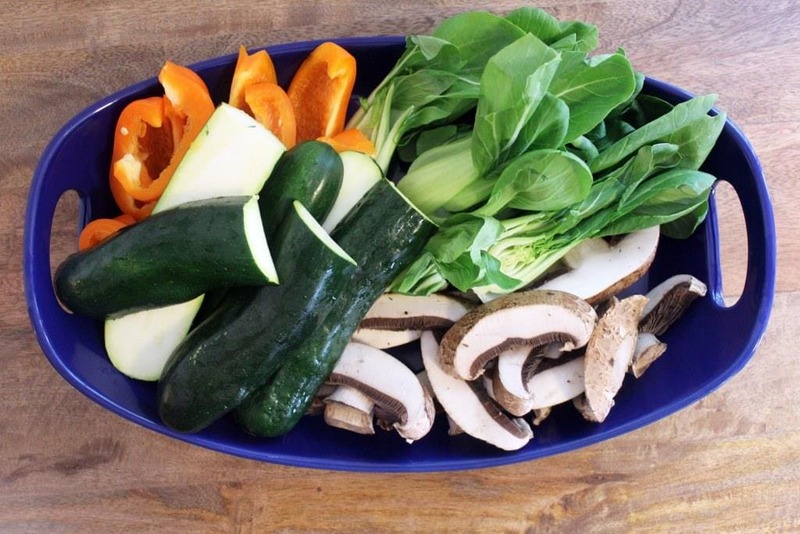 Choose any veggies you like, and take a picture of them all in a pretty bowl because JUST YES SO LOVELY, and then set them off to the side until you’re ready to grill. I did baby bok choy, sliced portobellos, orange peppers, and zucchini. Same with protein! 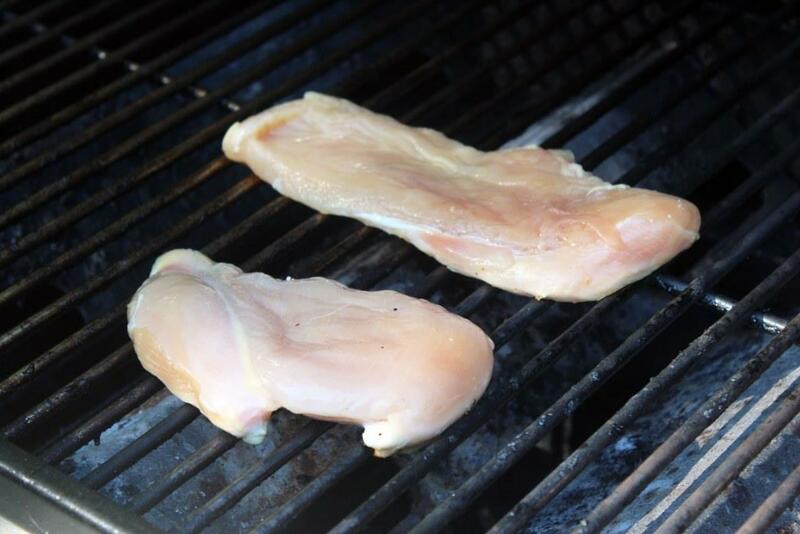 I did chicken breasts cut in half crosswise so the pieces would be thinner and grill quickly. I also did shrimp! I ended up cooking that in a skillet because I couldn’t find a skewer, but totally skewer and grill these babies if you’re organized enough to make that happen. 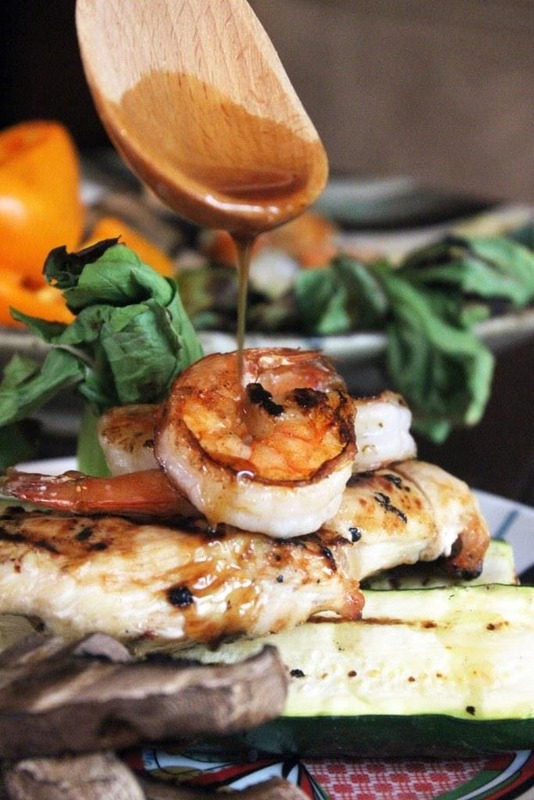 Now, let’s get to the sauces while the grill (or broiler, or skillet, or whatevs) is heating up! 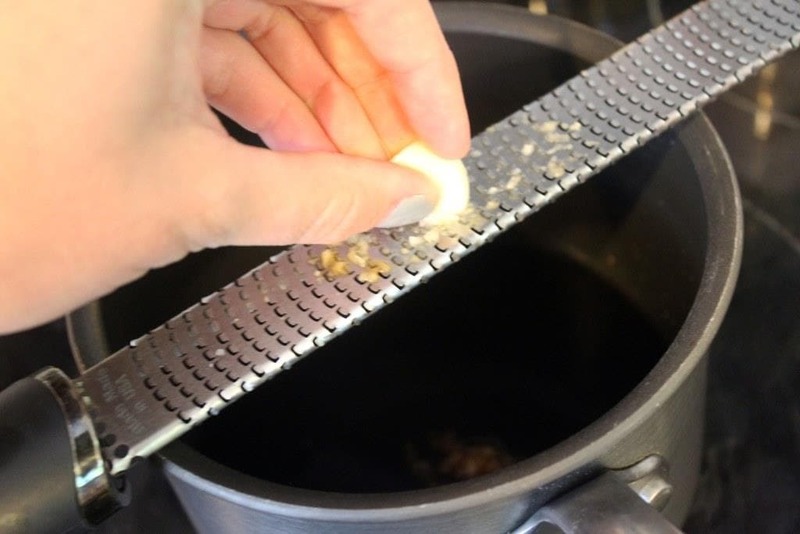 We’re going to make a garlic ginger soy first. Yep. 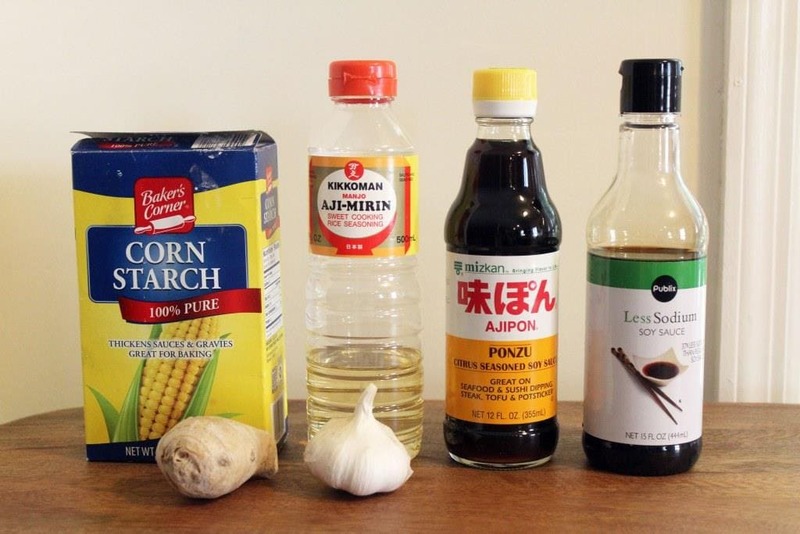 You need garlic and ginger (granulated of both is fine if you don’t have fresh), soy sauce, ponzu (citrusy soy sauce, sub extra soy and a splash of vinegar if you don’t have it), mirin, and corn starch. 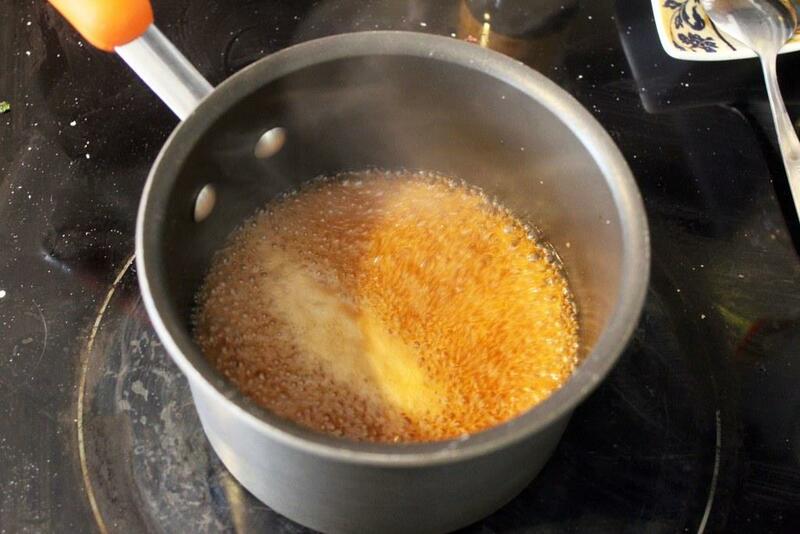 We start with a cold pot so the cornstarch can mix with everything else, THEN thicken the soy as it comes to a bubble. So, measure the ingredients into a little pot, and grate the ginger and garlic directly in so they’ll melt into the rest of the sauce. Then, give a good stir to get most of the cornstarch dissolved, and turn the heat to medium-high. Let the sauce come to a bubble, then turn the heat off! The soy sauce will be slightly thickened, and the flavor is insane. Let the sauce cool. Now, onto a sesame peanut sauce. 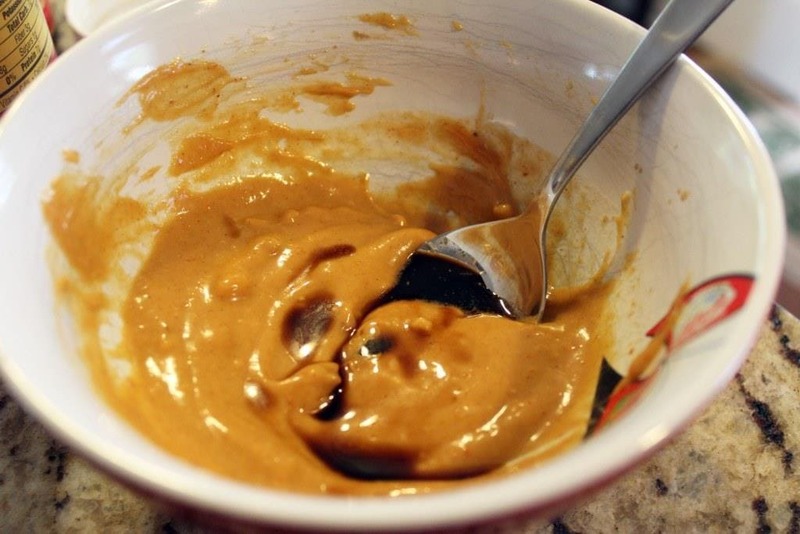 For this you need mirin again, sesame oil, sriracha, peanut butter, soy sauce, and mayo. Don’t freak out, the mayo makes this really smooth and glossy but you don’t taste it, I promise. Sorry about the soy sauce not being in the picture, I decided as an afterthought to use it. Stir really well until everything is nice and smooth, then taste! Add more sriracha if you’d like. 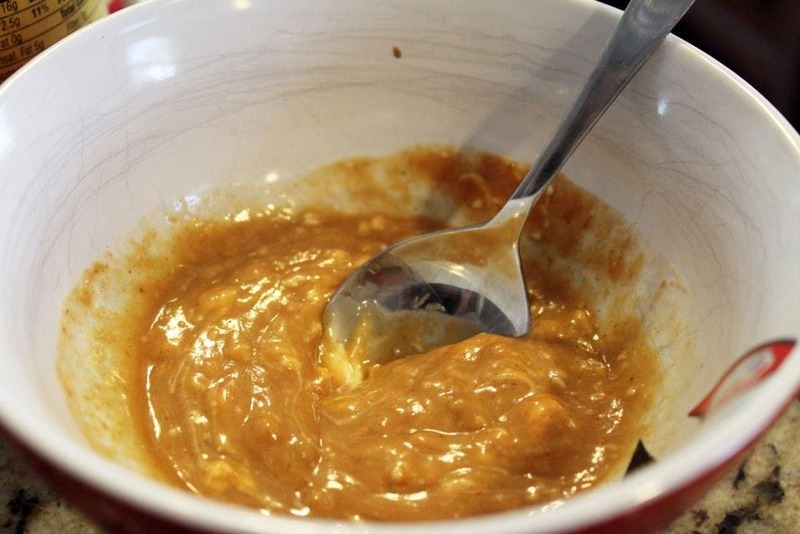 Also, a note: If you use crunchy peanut butter, try to remember that you did so. Otherwise you’ll stir for a really long time wondering WHAT THE HECK THESE LUMPS ARE FROM before remembering, um, duh, peanuts. Lastly before the grilling, let’s make our glaze for brushing. 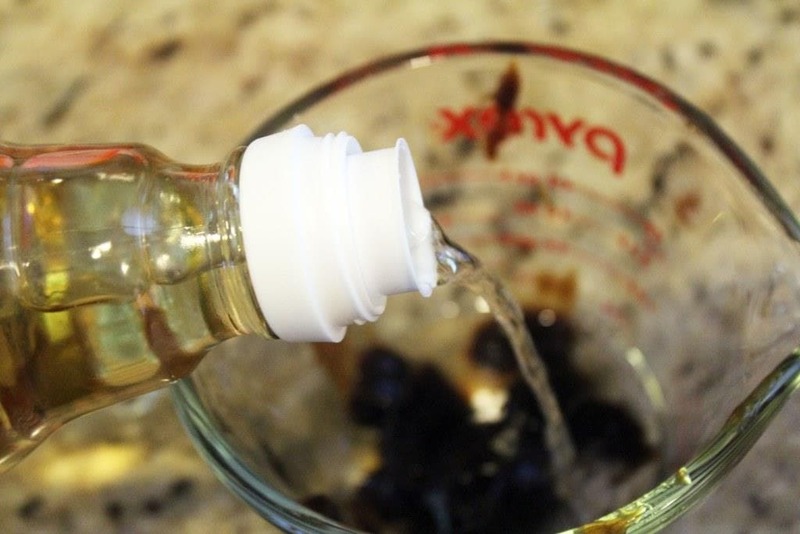 It’s super quick, and only three ingredients! 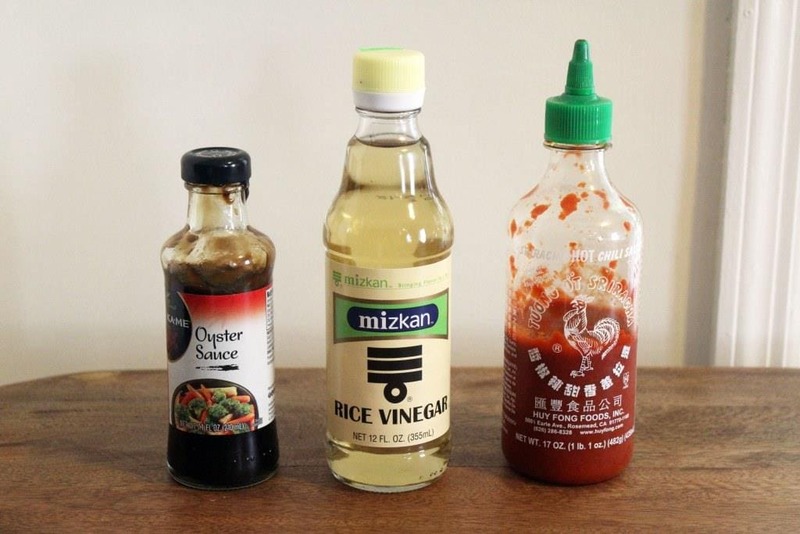 Oyster sauce (makes Chinese brown sauce taste….brown), rice or other mild vinegar, and sriracha. 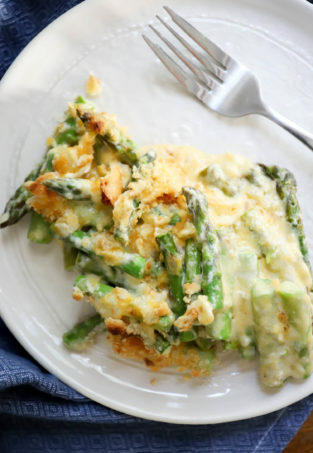 Dump THOSE ingredients into yet another dish, and combine them all together. Taste + more sriracha = you know the deal. NOW, it’s time to cook! 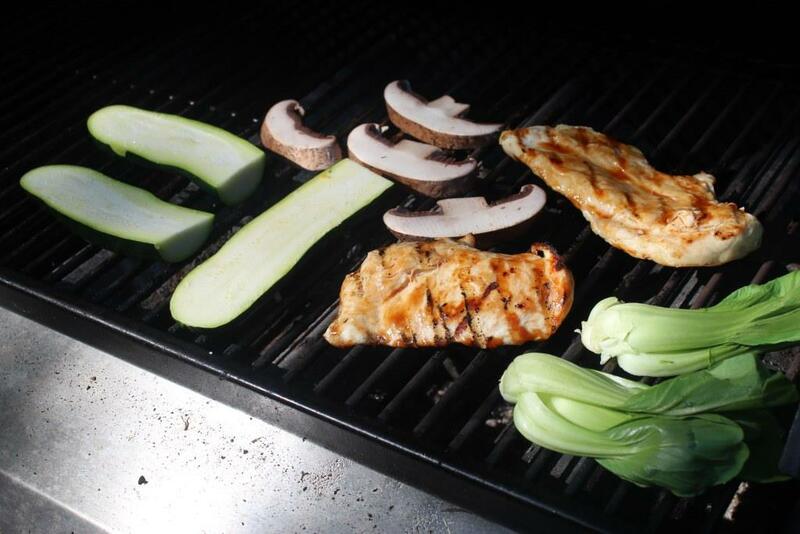 We’ve got three sauces, veggies, and protein, so let’s grill! 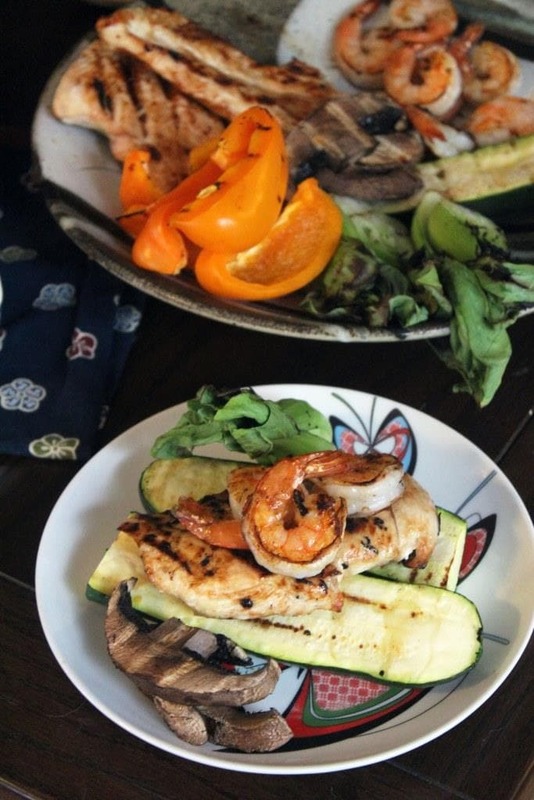 I started with the chicken and then threw on the veggies, but you could cook everything all at once if you’ve got the grill space. Grill everything on the first side, then once it’s nicely marked flip it and brush with the oyster sauce glaze you made. 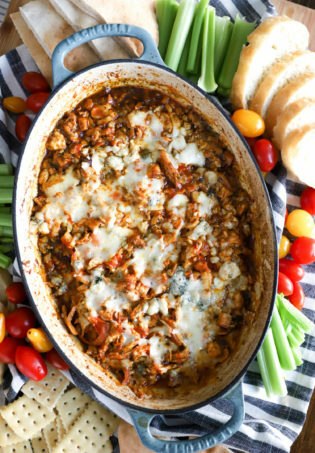 Same process goes for veggies and meat, until everything is cooked and flavorful. The chicken that was this thin cooked in about 6 minutes on each side, but you’ll need to adjust your cooking time for smaller or larger pieces. 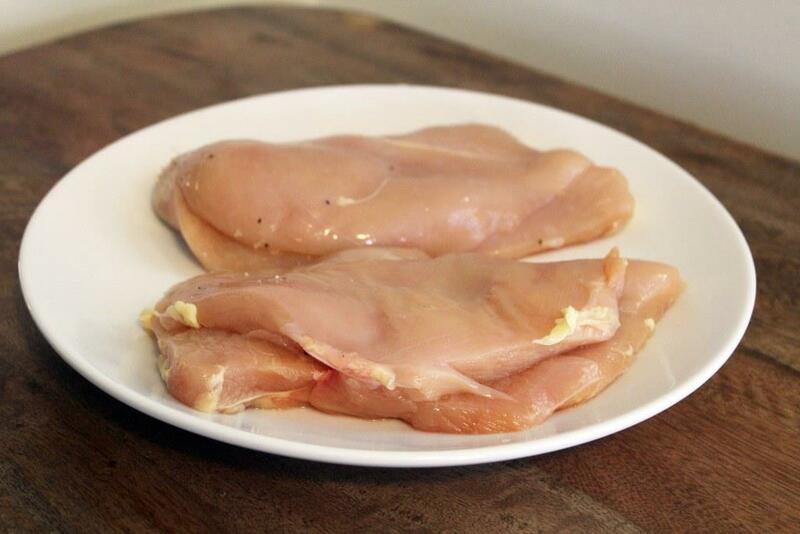 Don’t overcook the chicken! Dry chicken is no bueno. 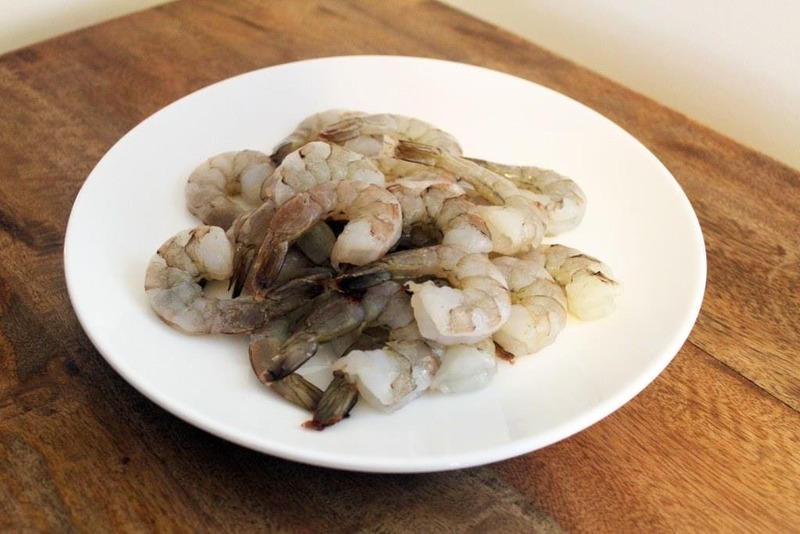 While the last batch of veggies was grilling, I cooked my shrimp in a skillet in about 90 seconds with a brush of the oyster sauce glaze. 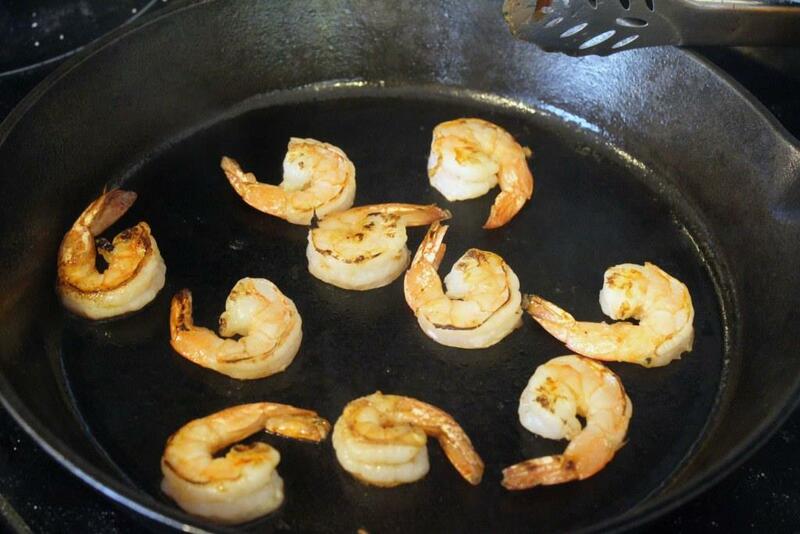 Grill your shrimp too, if you want to keep out of the kitchen! Now, look, people. Do you even miss carbs when you see this? I mean, for PETE’S sake, y’all. 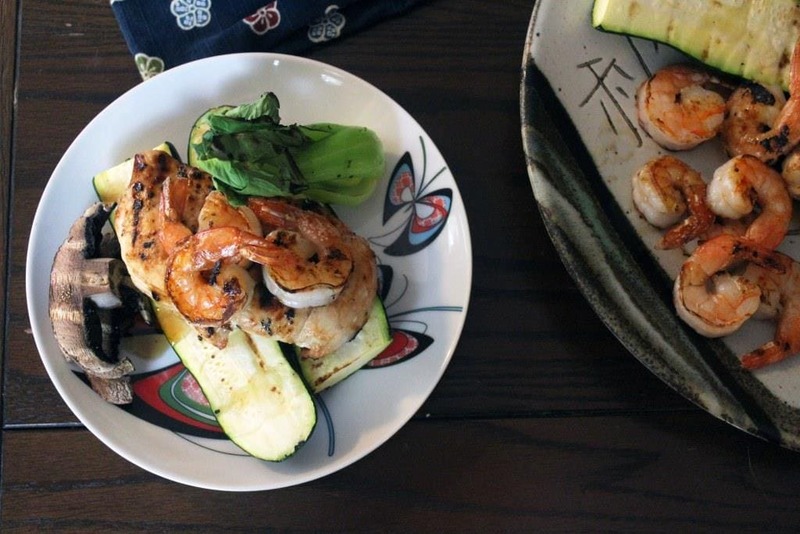 This is healthy, incredibly flavorful, and just a really fun dinner for summertime. I serve little dishes of the sauces next to the plates for dipping, but you could also totally drizzle the sauces over the whole plate and just do the damn thing. However you work this, you’ll adore it. Try it soon! 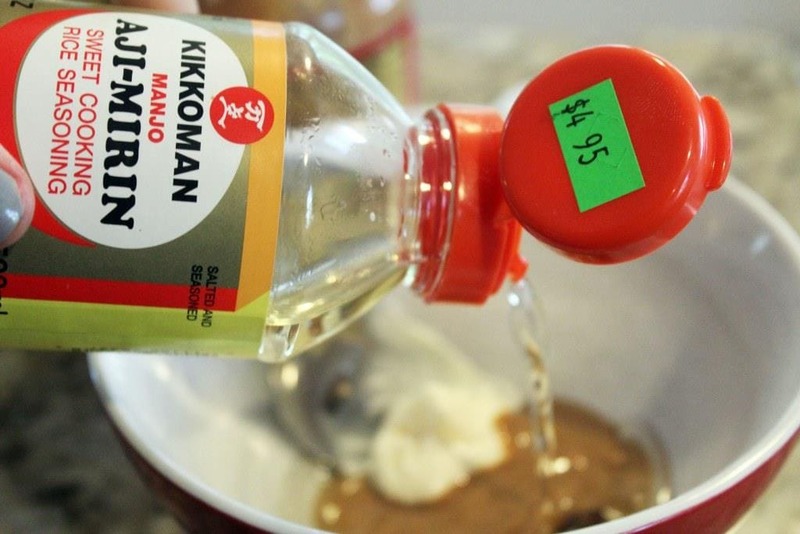 For the glaze, mix the oyster sauce, rice vinegar, and sriracha. 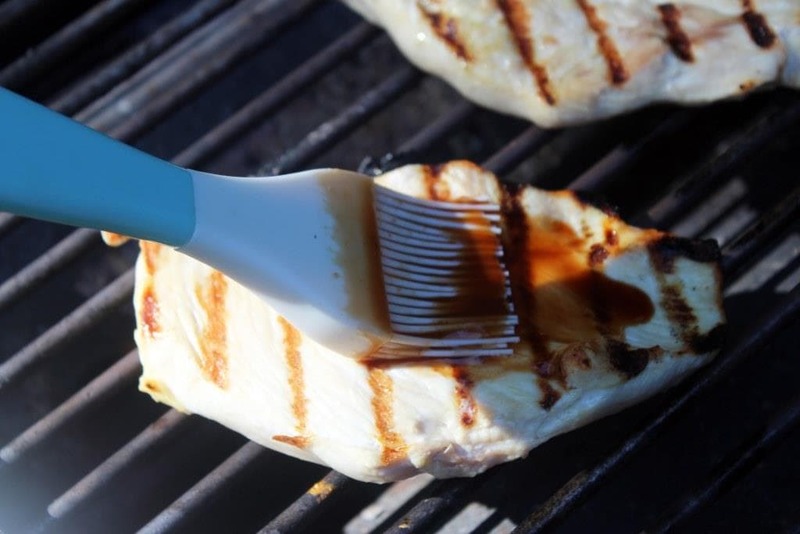 Taste, and add more sriracha if you'd like, then set aside until you're ready to grill. 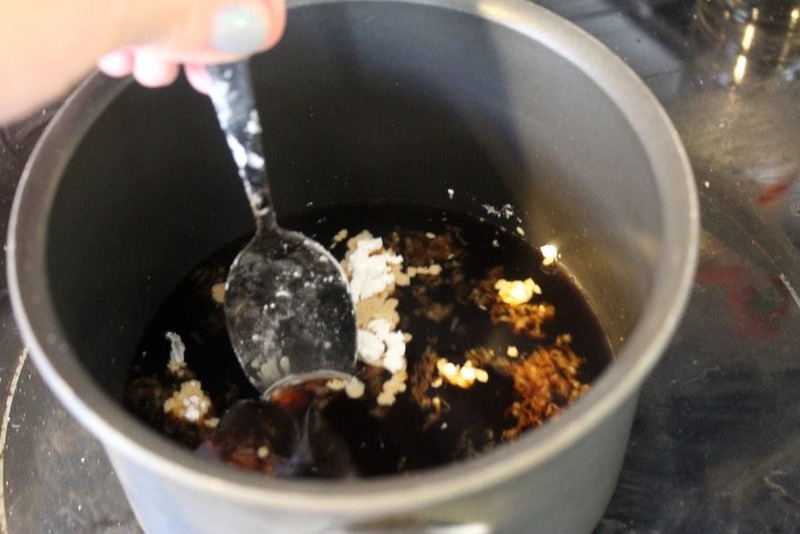 For the garlic soy sauce, combine all the ingredients in a small cold skillet. Stir to combine, then turn the heat to medium-high. When the mixture boils, turn the heat off and let cool. 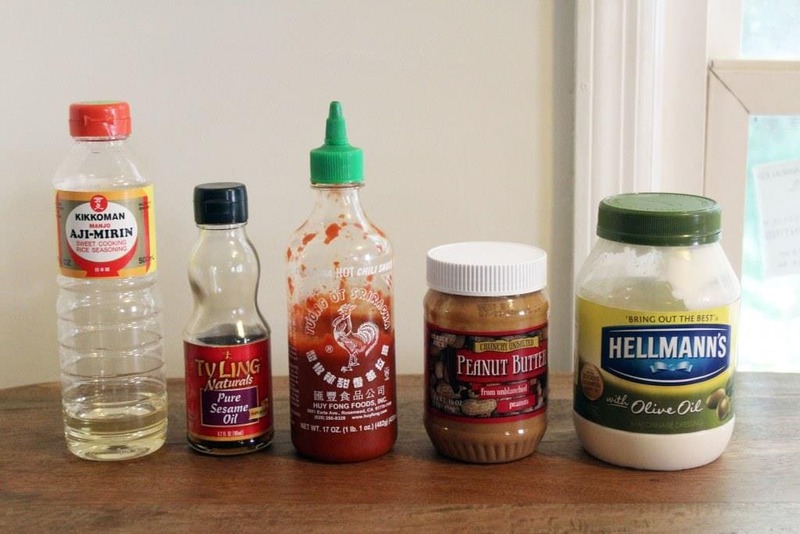 For the peanut sauce, combine all ingredients and taste: add more sriracha to your preference. 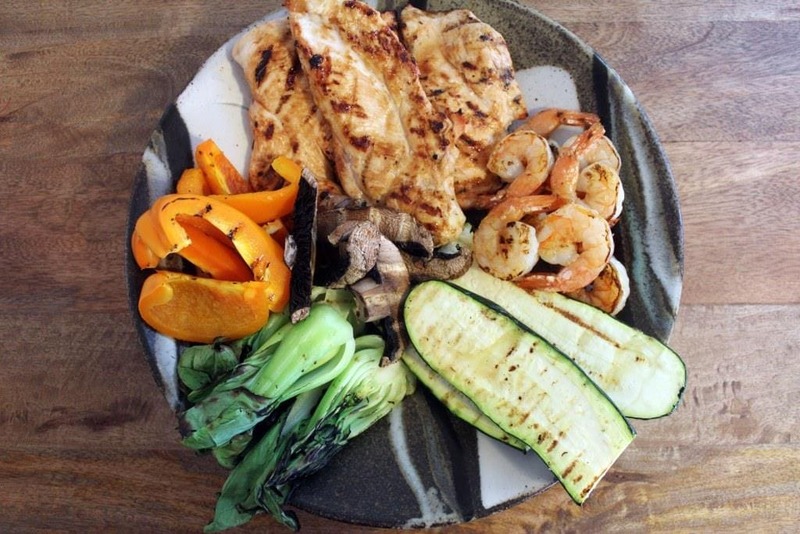 When the 3 sauces are done, preheat a grill and grill the veggies and protein until cooked. Brush with the oyster sauce glaze halfway through. Serve with the sauces for dipping and drizzling. Enjoy! 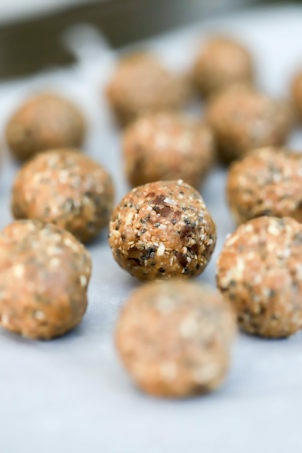 Use any veggies or protein you'd like - these are just my suggestions!